Chew your way into these healthy Apple Cinnamon Chewy bars. 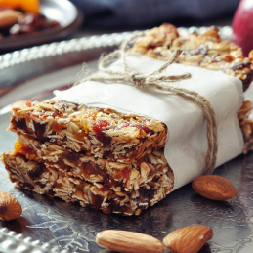 These homemade bars are great for breakfast on-the-go or a filling snack throughout the day. Prep and snack without the guilt by giving this recipe a try! Spray a baking pan (9 x 13 for best result) with a nonstick cooking spray. Slice apple into small pieces, and combine in a bowl with all other ingredients. Mix together well. Place mixture and smooth out in the pan. Sprinkle additional oats as final coating if desired. Bake for 20 minutes or until no residue sticks to fork or toothpick upon testing. Let pan cool before cutting into bars. 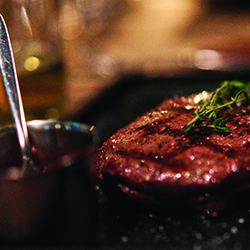 Serve and enjoy, or save for later. 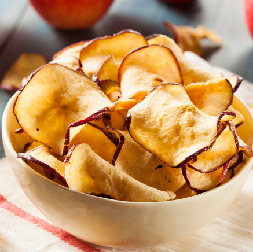 Be a smart apple and take a break from processed snacks with these delicious, crisp, apple chips. This simple recipe will be the apple of your eye once you take your first bite. Learn how to make your new favorite snack below! Slice your apples with a knife or mandolin into thin slices, and discard the seeds. Use baking sheets and line them with parchment paper to avoid sticking. Spread the apples across both sheets, then top with desired amount of cinnamon. Bake the apple slices for an hour, then flip them. Bake again for another hour. Your apple chips are finished! Serve hot or cooled. Be sure to store in an airtight container to maintain crispness. With the holidays just around the corner, it’s time to prepare for a variety of hosting opportunities. In the middle of all of these events, and the table, is your centerpiece. 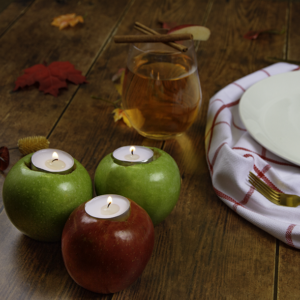 By using in-season apples and tealights, you can easily set the tone of your event and create a beautifully themed centerpiece that will compliment your Fall events effortlessly. 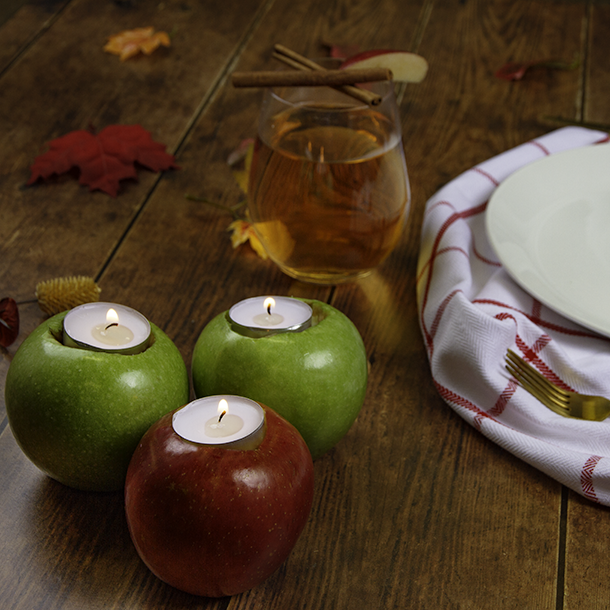 To make your apple tealights, simply scoop out the top of the apple to allow the tealight to fit comfortably. 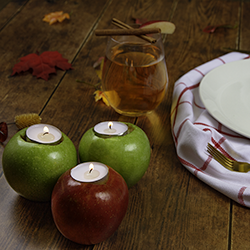 After placing the tealight inside the apple, spread them across your table and light to perfection. 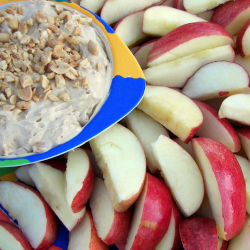 This creamy, apple flavored spread can be used on almost anything! You’ll find yourself using it on toast, pancakes, muffins, grilled turkey and even spreading some on your ice cream! Place prepared apples in slow cooker and add sugar, brown sugar, salt and vanilla. Mix together. Turn slow cooker on low and cook for about 10 hours. Stir about every 2 hours. 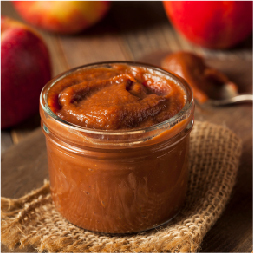 For a smoother texture, use blender to puree the apple butter. Enjoy warm or refrigerate up to 2 weeks! 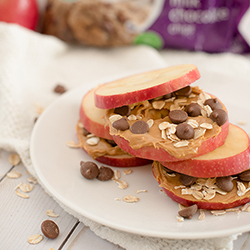 Cut out the carbs and indulge in this sweet apple sandwich. Core and half apples. Add peanut butter to one half of apple. Top with chocolate chips and oats. Top with the other half of the apple and enjoy! Mix pudding and caramel dip together. Top with chopped peanuts and dig in! The s’more season is among us! There are so many delicious variations of s’mores to enjoy but have you tried adding a slice of freshness? 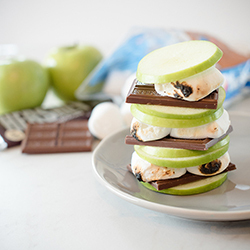 Try Apple S’mores. Wash apples and slice thinly. Roast marshmallows over open fire or barbecue. Assemble smore: apple, chocolate bar, marshmallow, apple slice. ENJOY! The last thing you need this time of year is a complicated recipe 🙂 Try out this tasty and simple caramel apple recipe to take to any of your holiday gatherings. Rinse off your apples and pat them dry. Insert wood sticks into apples. Put wax paper onto a cookie sheet and spray with cooking spray. Mix caramels, vanilla and water in a medium saucepan over low heat until combined. Stir constantly. Dip apples into caramel mixture. Place apples on wax paper. Refrigerate until caramel is set. 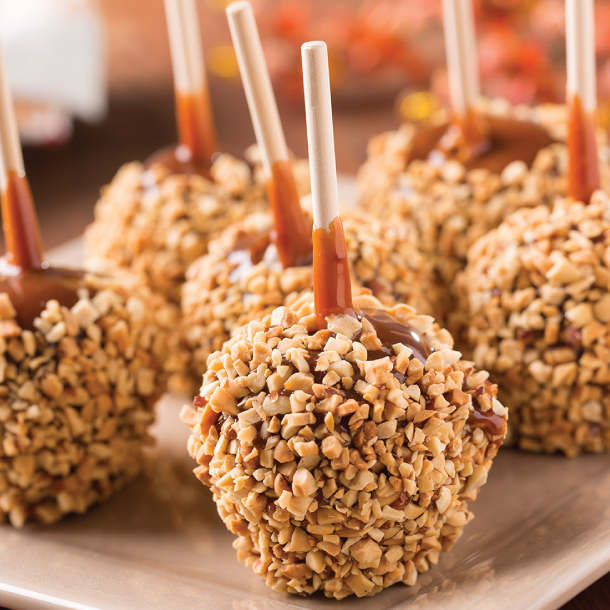 You can also try a spin on the traditional caramel apples and do a caramel apple bar. It is great for parties. Follow caramel recipe above but instead cut apples into slices right before party. Have sticks available for guests to spear the apples and dip into caramel sauce. Place an array of dipping toppings in small bowls. Some great topping ideas are sprinkles, crushed cookies, nuts, chocolate chips and graham cracker crumbs.